Neymar’s show of emotion led to his ejection with three minutes left but Edinson Cavani curled home a powerful free-kick in injury time as 10-man Paris St. Germain escaped with a point in their 2-2 draw with Olympique Marseille at Stade Velodrome in Ligue 1. The Brazilian, debuting in a match famously called Le Classique, was booked twice in a span of two minutes, with the last coming in on the 87th after he squared up to Lucas Ocampos and hit the Marseille midfielder in the face. With his side down 1-2, Cavani then unleashed a right-footed effort from a set-piece 20 yards out, hitting the underside of the crossbar before bouncing beyond the goal line. Unbeaten PSG are still four points ahead of Monaco at the top of the Ligue 1 table with 26 points in 10 fixtures. Marseille are in fifth with 18 points. Luiz Gustavo opened the scoring with a 30-yard screamer in the 16th minute, stunning the Parisians’ defense with his powerful shot after receiving a pass from Dimitri Payet way beyond the box. But Neymar levelled in the 32nd minute as he shocked the Marseille backline with a strong left-footed attempt that rolled past Adil Rami and Steven Mandanda before hitting the right post and rolling into the back of the net. 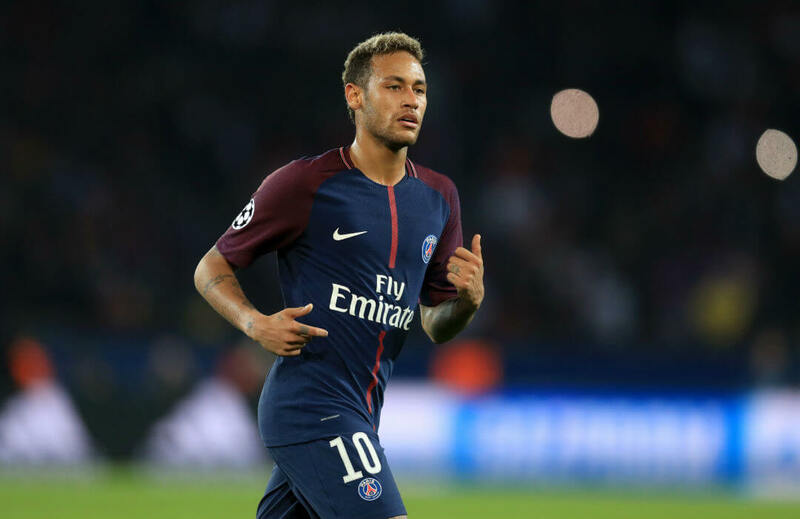 Twenty minutes after the restart, home fans started throwing objects at PSG players, and in one particular incident, Neymar had to be shielded by stadium personnel as he was to take a free kick near the seats. But the home fans erupted into wild cheering in the 79th minute when Clinton N’Jie, after an intense battle for the ball with Adrien Rabiot, sent a cross to the running Florian Thauvin, who tapped the ball home to make it 2-1 for the hosts. Two minutes into stoppage time, Cavani then stepped up for the short-handed PSG as his late-game heroics ensured the away club will go home with a point and preserve their unbeaten start to the Ligue 1 season.